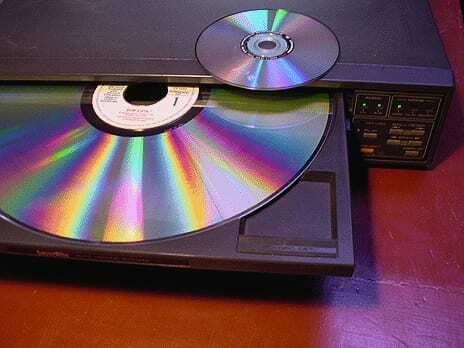 While an earnest attempt to satiate cinephiles’ appetite for a higher quality home viewing experience of their favorite movies, the laserdisc was a clunky, impractical product. They weighed into the pounds, were very noisy to operate (due to the weight and speed it had to be spun) and not all the analog information could be stored on one side, necessitating the flipping of the disc every 30-60 minutes, and in some cases, the removal of the disc and loading of an additional disc for movies that were especially long. I admit to having a laserdisc player back in the day, and still sing its praises when it comes to “Star Wars”: it still remains the only medium in which a high quality version of the STAR WARS TRILOGY was released in its original state, before it was permanently altered by George Lucas. Yes, I still have the trilogy on laserdisc…and I continue to treasure it today. Also known as a “pager,” this simple communications device allowed someone to call it and leave a return phone number on its digital display. Teenagers in the 90’s seemed to want to have one, and actually thought it was cool to wear—backwards, with beeper inside the pocket and clip displayed proudly on the outside of the pocket. 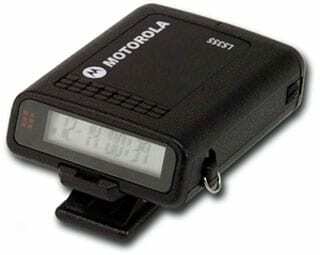 This didn’t last long, not only because the beeper was soon to be overshadowed by the cellular phone, but also because everyone realized that there was no good reason to have one of these damned things unless you were a doctor, drug dealer or a teenager who enjoyed having their parents beep them every half-an-hour. In November 1992, The New York Times ran an article that cracked the code of “grunge speak.” The newspaper listed a number of slang terms that they claimed to be uniquely associated with the Seattle grunge scene. Turns out, the list was a hoax, a practical joke pulled on the esteemed newspaper by Megan Jasper, a receptionist for Caroline Records. By not adequately scrutinizing the article before running it, The New York Times proved itself the cob-nobbler [loser] in this particular instance. This movie starring Kevin Costner was the most expensive film ever made at the time. It was released in 1995 to terrible reviews and is still considered one of the biggest box-office bombs of all time. Dennis Hopper also won the Razzie for Worst Supporting Actor. 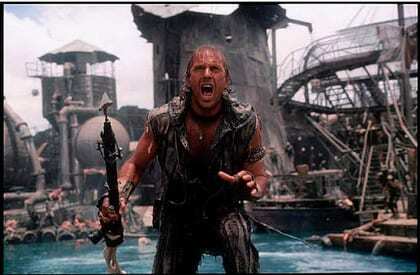 Having said all that, I don’t think WATERWORLD is as bad as everyone thinks it is. It’s a cool concept and visually enthralling. And, come on, a Razzie for Dennis Hopper? For playing Deacon, the leader of the “Smokers,” a ragtag group of post-apocalyptic outlaws who ride haphazardly around on spiked jet skis and armored boats? Did I mention Deacon is a futuristic pirate who has one eye? A pirate who chain-smokes; notwithstanding the conceit that the world in which the movie takes place has been covered in water for generations and the last tobacco plant to have grown anywhere is not even within the scope of anyone’s memory. A Razzie for an actor forced to smoke such old, stale cigarettes? This is more like an Oscar-snub. 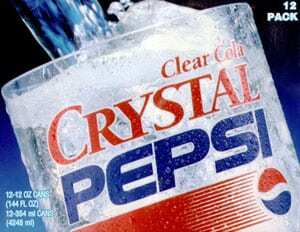 Crystal Pepsi was marketed on the shelves as a “clear alternative” to normal colas, insufficiently equating clearness with purity and health. Its slogan was: “You’ve never seen a taste like this.” While it was interesting to look at, no doubt, the fact remained: sodas are meant to be swallowed. And this soda, in addition to being caffeine-free and not at all resembling the flavor of a cola, tasted…bad. The “Rachel” haircut is a short, choppy, layered ‘do, square-like around the face, which was made famous by Jennifer Aniston in season one of the hit television show FRIENDS and named after her character, Rachel Green. Okay, maybe there were worse crimes perpetrated against music in the 90’s by the likes of Vanilla Ice, Billy Ray Cyrus, The Crash Test Dummies, Snow, and Los Del Rio and their godforsaken “Macarena,” but the trouble with Candlebox was that they were often directly associated with the grunge movement—at least that’s what major radio stations had you believe at the time, due to their relentless playing and replaying of “Far Behind” at the top of every hour and between much better songs from bands like Alice In Chains, Nirvana and Pearl Jam. 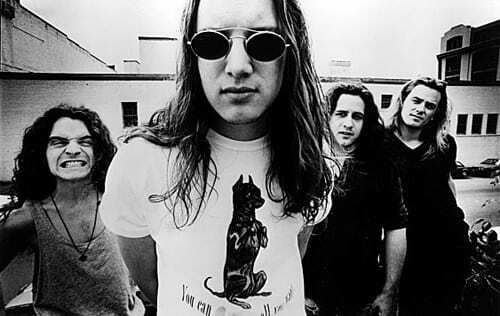 Yes, you did, Candlebox…yes, you did. We all remember the days of dial-up internet, and those are days we would surely like to forget. 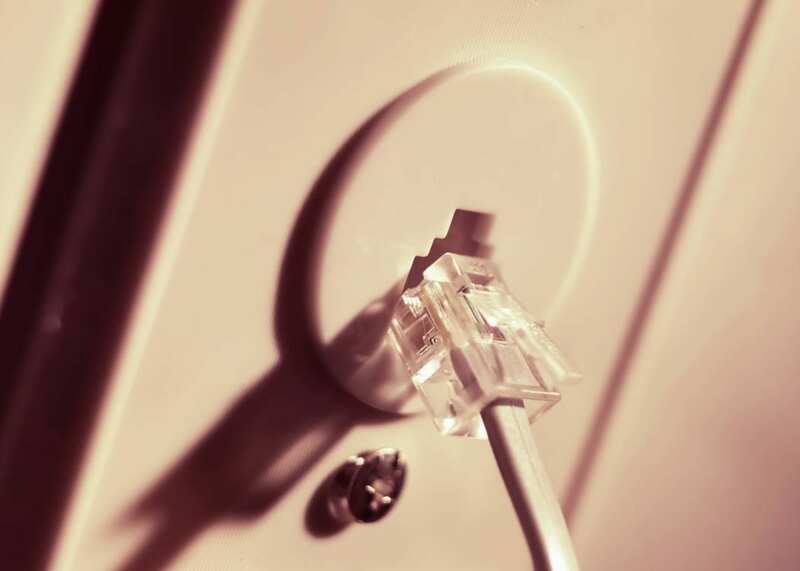 Dial-up connections require nothing more than a computer, a telephone network and an honorable amount of patience (it could take up to an hour or more to download a few megabytes). These days, dial-up is virtually obsolete; especially considering that most of the things we do online now—stream videos, skype, game, file share, download music—are impossible to do with such a slow, and archaic, connection to the net. That didn’t prevent people from trying, just as long as you didn’t use up all of your 1000 free hours you got on CD. 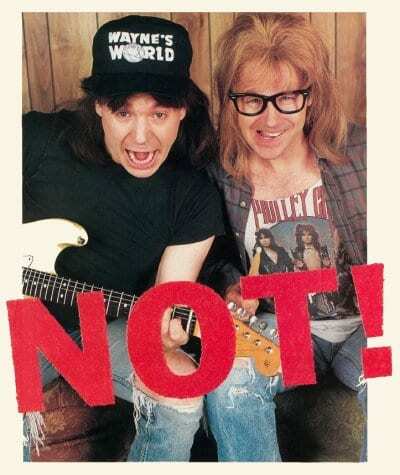 Not: for the purpose of this list, a word made popular in the early 90’s by the movie “Wayne’s World.” A user adds “not” to the end of a sentence to overtly highlight the sarcasm in the sentence itself. There’s a reason why no one uses this word in this way anymore, and I’m positive most of us would like to keep it that way. 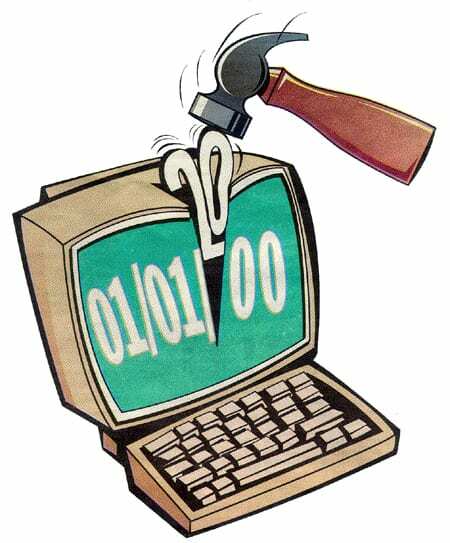 The Year 2000 problem (aka the Y2K problem, the Millennium bug, the Y2K bug, or just Y2K) was a problem for both computer and non-computer documentation and data storage that resulted from abbreviating a four-digit year to two digits. Concern swept the world—the apocalypse was about to arrive, and it was going to be caused by the inability of computer systems to process that changeover in dates from the year 1999 to the year 2000. Without corrective action, long-working systems were suspected to break down when the pattern of ascending numbers […97, 98, 99, 00…] suddenly became invalid. And this catastrophe would, of course, lead to the end of the world as we knew it: infrastructure dependent on computer data and management, like subways, phone service, and financial transactions, would implode. Needless to say, we survived.